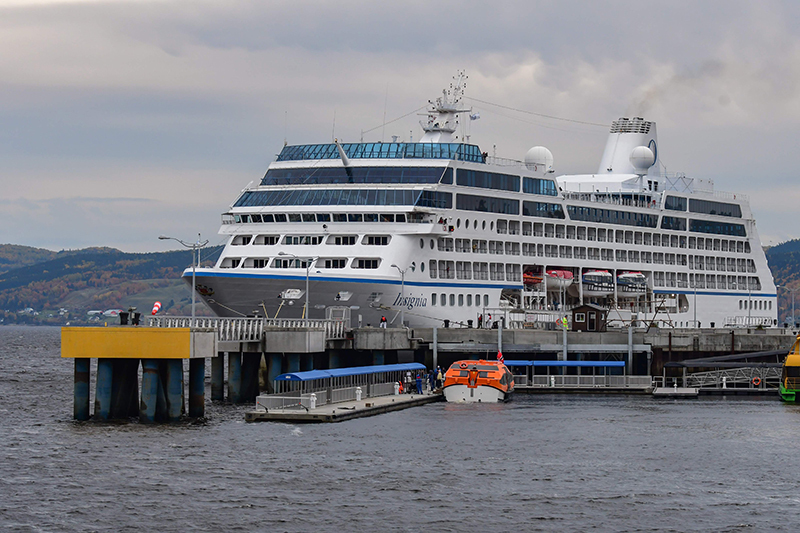 Saguenay Cruise Port approached Marinetek North America requesting for a floating breakwater system that could remain in the water during the harsh conditions of icy winters and offer protection from aggressive waves and huge tides during the summer operating season. Marinetek welcomed the challenge and concluded an extensive R&D project including tank tests conducted by VTT Technical Research Centre in Finland. New KH-series Breakwater Pontoons are professionally designed by experienced engineers to give the best attenuation performance in their category and offer extreme strength and long maintenance-free service life. The 86-ton units are industry giants, measuring 6m (19.6 feet) wide x 20m (65.6 feet) long x 2.4m (7.8 feet) high. 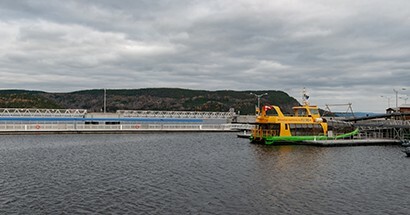 Top of the range 6300BRKH-series units with 2 x 116 ton flexible connection capacity were manufactured in Marinetek’s factory in Croatia, shipped to Saguenay and installed by Marinetek North America. The breakwater pontoon now doubles as a cruise passenger pier. It creates a strong, safe basin for smaller tour boats in extremely demanding conditions. 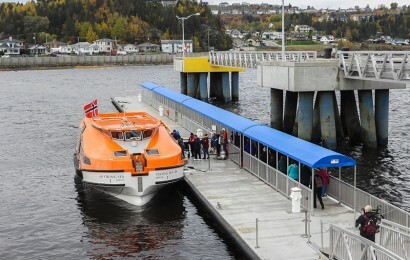 Passengers can now safely transfer to their tour boats. 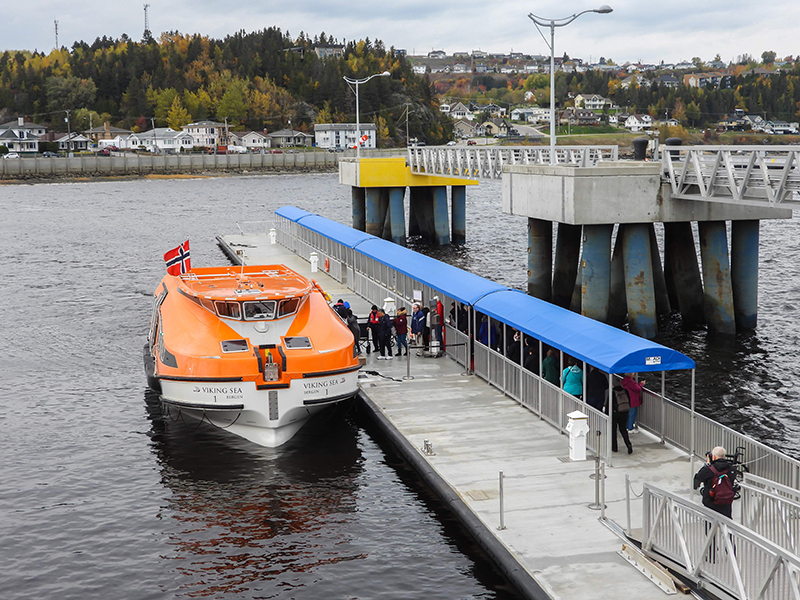 Breakwater pontoon creates a strong, safe basin for smaller vessels.